A mixtape of different tracks from various netlabels. Sven Swift chooses a wide range of soundscapes seeking for a submarine ambience. The whole session it's a smooth and calm piece where instrumentation and digital sonorities got together. 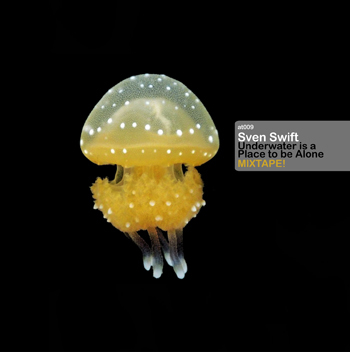 Mixed by Sven Swift. 2008. Underwater Is a Place To Be Alone by Sven Swift is licensed under a Creative Commons Reconocimiento-NoComercial-CompartirIgual 3.0 Unported License.